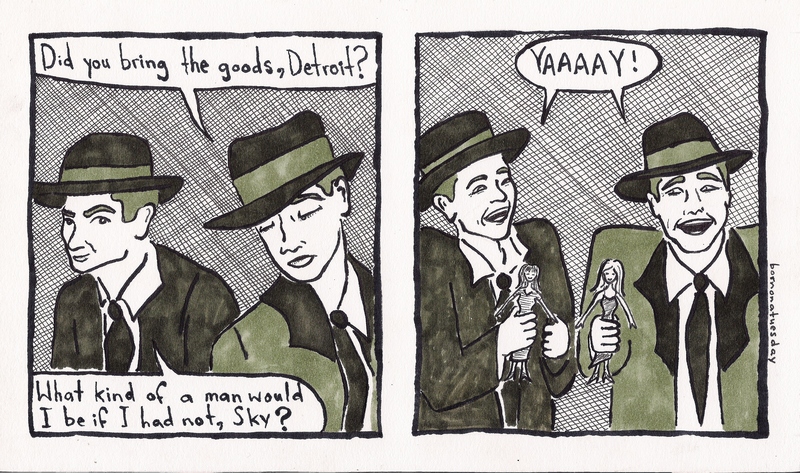 This comic was posted in comic and tagged barbie and midge, guys and dolls, marlon brandon and frank sinatra, movie puns. Ha ha. I guess you finished watching the film, eh? Funny you :).